After all, it’s January, it’s resolution season… I know that starting new habits doesn’t just have to be confined to January, but it’s when so many people do start new pursuits. A new year is exciting and motivating. It’s that clean slate feeling, I get it. Put simply, a habit is formed when you do something often enough and regularly enough that it becomes automatic. If you’re interested in really drilling down into exactly the steps how a habit is formed, this article on 99u.com is really interesting. If you commit to doing something creative every day – even if it’s just for five minutes – you will soon come to expect and crave that creative time. As Leo Babauta says, “Actually doing the habit is much more important than how much you do.” So while you may start off needing reminders, you’ll come to teach yourself that creativity is part of your daily life. Oh boy, this is the big one. Lack of time is so often the reason things don’t get done. There are 101 things we have to do each day and somehow the fun stuff that you want to spend time on for yourself ends up getting pushed aside because you have to *insert household chore/family obligation here*. I’m not saying that you should stop showering to make time for your creativity (but actually, you could probably spend less time in the shower, right?). I’m just pointing out that there are things we do every day, sometimes on autopilot, that we could take less time over, or even cut out altogether. What Time Do You Have Spare? How many times do you check social media in a day? Probably more times than you actually realise… What about watching one less episode of whatever boxset you’re on at the moment? That’s a whole 45 minutes to an hour that you’ve just regained. And how about getting up 15 minutes earlier in the morning? It might not seem like a lot of time, but it’s enough time to do something creative before your day starts properly. So you’ve managed to find the time. 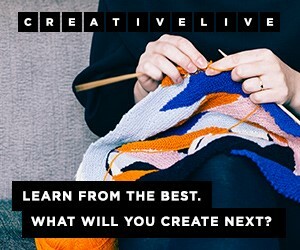 The next question is: what are you going to create? Depending on the kind of creative stuff you like to do, it can help to keep a little stash of inspiration. 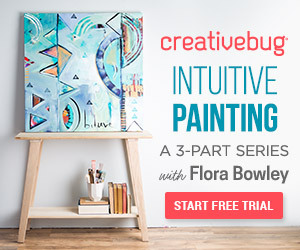 If you like to paint, keep a folder or Pinterest board of (copyright-free) photos that you feel like you might like to paint some time. The same goes for if you like to draw. If you’re a crafter, keep a list of tutorials or projects that you want to try. This is the stuff that Pinterest was made for! You can also keep a small notebook handy, or use the notes app on your phone, for ideas that hit when you least expect it. Then go for a walk, or take a shower, or do another mindless task, and wait for the ideas to flow. Keep adding to each your inspiration stash so that you never run out. Allow yourself to be inspired by the work of others, but make your own version of it. And don’t forget, give credit where credit is due. Sometimes, even when time isn’t an issue, and even when you have the inspiration, getting started with creative pursuits can still seem ridiculously difficult. Ah, procrastination. I know it well. It seems that often, when there are no barriers already in place, we just go ahead and make our own. In my experience procrastination generally happens for a reason, and it generally has to do with the stuff going on inside my head. If you can figure out exactly what mental barriers you have, you can tackle them head on. So why are you procrastinating? Is it fear that you’re no good? Maybe you’ve set a particular goal and deep down you’re scared you won’t hit it? Or perhaps you want to earn money from your creativity, and you’re doubting that what you make is worth paying money for. All of the above are fears that I’ve experienced at some point or other, and they can all be pushed through. Don’t allow procrastination to get the better of you. Acknowledge your fear, then go ahead and do that creative activity anyway. Don’t let procrastination – or fear – break your new creative habit. So those are my tips for starting and continuing a creative habit. Are there any tips that you could add?